Rosemary Claire Smith writes science fiction and fantasy stories that showcase her interests in dinosaurs, folklore, mythology, genetic engineering, and aliens. She draws on her background as a trowel-wielding archaeologist, reformed lawyer, and keen observer of contemporary society. Her other interests include ballroom dancing, abstract photography, foil fencing, and astronomy. 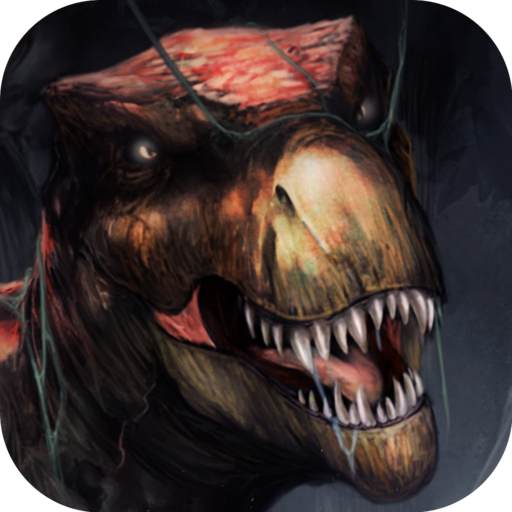 Her interactive fiction role-playing game, T-Rex Time Machine is now available. Rosemary is a member of the Science Fiction Writers of America (SFWA), and attended the Clarion Writers’ Workshop, as well as Taos Toolbox, Paradise Lost, and Launchpad Astronomy Workshop. Her fondness for writers’ workshops seems likely to continue. Blogging the Mesozoic consists of short essays about dinosaurs (you expected maybe? ), writing fiction, particularly science fiction and fantasy, as well as travel, and whatever else catches her fancy. It’s updated about once a week. Rosemary’s most recent story to see print is Conservation of Mismatched Shoes in the revived Amazing Stories. Adolescence is more complicated when your big brother discovers how to get to the multiverse and you’re desperate for him to take you there. Diamond Jim and the Dinosaurs. This tale whisks you to Cretaceous Antarctica where the slipperiest creature may be another time traveler. It is a finalist for Analog Magazine’s AnLab Readers’ Award. If you hurry, you’ll be able to read it for free. Mars Needs Children is Rosemary’s most recent guest editorial in the July/August 2017 issue of Analog Science Fiction and Fact. Her last guest editorial, On the Money was in the November 2016 issue of Analog. Our Right, Our Duty, Our Privilege, appeared in the March 2016 issue of Analog. It deals with voting and elections. Rosemary’s previous guest editorials are The Future is Prologue, which was in the December 2015 issue of Analog, and Conspiracy Theories for Everybody in the July/August 2015 issue of Analog. She has more guest editorials in the pipeline. Dino Mate – Several characters from Not with a Bang return to the Mesozoic in this story in the December, 2014 issue of Analog Science Fiction and Fact. It features some unusual African dinosaurs that don’t get the public attention they merit. The Zombie Limbo Master was reprinted electronically in Quickfic 1 Anthology. It was first published in the May 2014 issue of Bastion Science Fiction and was also reprinted recently by Digital Horror Fiction. Who knew that limbo dancing might just save you from the zombie apocalypse? Not with a Bang is in the July/Aug 2013 issue of Analog Science Fiction and Fact. It’s a love story with dinosaurs. The reprint is due out in the next few months. Mom and the Ankylosaur was published in Fantastic Stories. Mom was afraid to fly, but was thrilled to win an all-expenses-paid trip to the Cretaceous. Birch Glow is Rosemary’s first story to appear in Analog Science Fiction and Fact. It’s about designer genes, first love, Christmas trees, and saving the planet. It’s just been reprinted in Celestial Beans. The Fifth Sun was the lead story in the anthology, The Age of Reason. The Aztec god Quetzalcoatl spins a tale of creating and destroying the world. © Rosemary Claire Smith 2012-2017. The material on this website is copyrighted and may not be used without the author’s consent. I enjoyed your editorial in Analog. When I read your proposal, I immediately thought of the Wright brothers, so I was glad you agreed…but I wouldn’t have chosen to get rid of US Grant.